Brilliantly screen printed polka-dot design with Chevron ribbon trim. Gymnasts will “flip” for this fun and flirty Sassi Design! 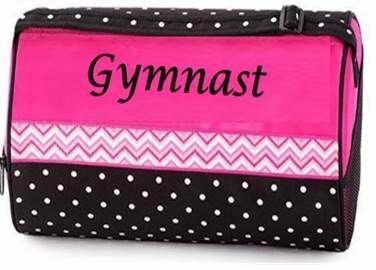 Embroidered “Gymnast” and polka-dot ribbon trim on carry straps. Microfiber material wipes clean. Can be personalized.